Just like all other hardware components, the garage door springs are included in the package when a door system is purchased. The heavier units usually come with torsion springs while the lighter ones feature their extension counterparts. In the first category, you will find different designs created by door manufacturers for the purpose of making their systems more effective and easier to use. Our job as a specialist garage door repair company is to take care of all components regardless of their design, make, age and brand. We achieve top results for our clients every time. As dominant leaders in the industry, we deliver the best solutions in the fastest possible manner and are readily available to provide torsion and extension springs repair on an urgent basis via urgent emergency service. If you hear a loud bang and/or the door is completely stuck in place, you should not hesitate to reach for immediate assistance straight away since these are serious signs of trouble. The speedy technicians will arrive promptly in no time and deal with the issue right there and then and the door system's optimal condition and operation will be fully restored. 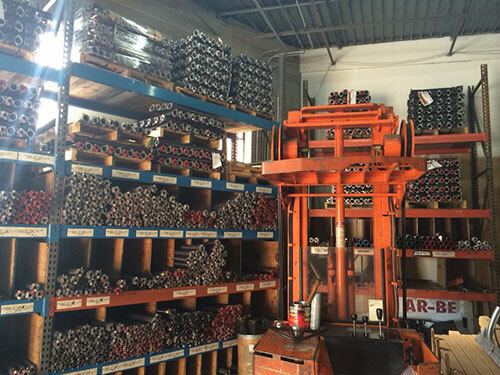 The quality of our service is based on extensive expertise which covers all types of overhead door springs from the models used in light Amarr doors to the ones which are required for counterbalancing the heaviest wood carriage doors from Clopay. The specialists are highly skilled and work with utmost precision applying the finest modern tools. Their repair methods are effective and dependable, allowing us to achieve great speed and the highest possible degree of accuracy. Having readily available spare parts of top quality at Garage Door Repair Jacksonville Beach enables us to provide broken garage door spring replacement on the spot. We provide scheduled maintenance, replacement and installation services, you can count to provide flawless installation even of the most specific oil tempered garage door springs. The required results are delivered swiftly in a tidy and clean manner. Call us to make a direct enquiry and to obtain a quick quote.